Membership offers priority booking, access to dress rehearsals and invitations to exclusive events. Over the course of the 2015/16 Season, The Royal Opera, The Royal Ballet and visiting companies will stage more than sixty works at Covent Garden. For your chance to enjoy this Season to the full, you can become a Friend of Covent Garden. Benefits include priority booking, access to Friends Rehearsals, invitations to exclusive events and a subscription to the quarterly Royal Opera House Magazine and monthly eNewsletter. 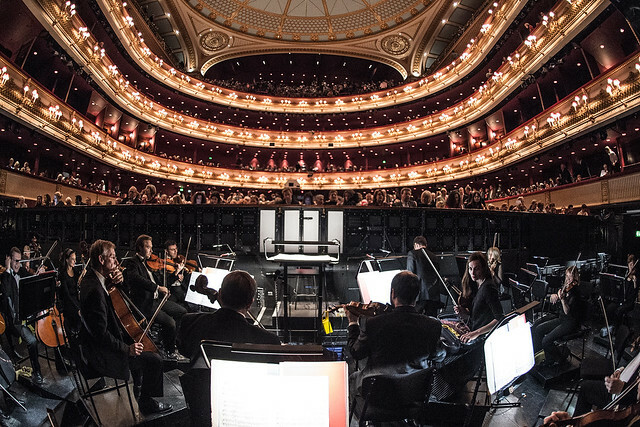 The Royal Opera House is a registered charity, and the support from members is vital in helping to achieve the extraordinary performances on stage, as well as delivering skilled backstage craftsmanship and inspiring learning and participation projects. Membership starts at £90, and can be bought for yourself or as a gift. Booking for the Autumn Season opens for Premium 1 Friends of Covent Garden on Tuesday 2 June. For Friends of Covent Garden, booking opens on 16 June for ballet productions and 17 June for opera productions. The Royal Opera opens the Autumn Season in September with John Fulljames and Hofesh Shechter’s new production of Gluck’s Orphée et Eurydice, starring Juan Diego Flórez as the great musician Orphée. The Royal Ballet's autumn performances will commence with the return of Kenneth MacMillan’s classic tragedy Romeo and Juliet, marking the production’s 50th anniversary. Other highlights during 2015/16 Season include two Royal Ballet world premieres: Carlos Acosta’s Carmen, performed in a mixed programme with Viscera, Afternoon of a Faun and Tchaikovsky pas de deux; and Liam Scarlett’s Frankenstein, his first full-length ballet for the main stage. With The Royal Opera, Jonas Kaufmann sings the role of Don José in Bizet’s Carmen and Antonio Pappano will conduct a new production of Cavalleria rusticana / Pagliacci. For more information or to join today, contact us on +44 (0)20 7212 9268. The above statement "Booking for the Autumn Season opens for Friends of Covent Garden on Tuesday 2 June" is somewhat misleading. Yes, the Premium 2 Friends booking opens on 2nd June ..... but that requires an annual Membership Fee of £1900! The Friends category booking opens on 16th June. Perhaps it would be wise to make this clearer in the legend above. I agree that this is misleading, thank you for pointing it out - we will amend the text to reflect the date productions go on sale to standard Friends. As expected the insight evening with juan Diego Florez sold out before even supporting friends were able to purchase tickets. You will have thousands of disappointed patrons. Was there no chance to hold this in the Linbury or elsewhere?